Built in 2012 using post and beam architecture throughout, fine satin finish knotty alder moulding and hand chisled granite apron sinks. 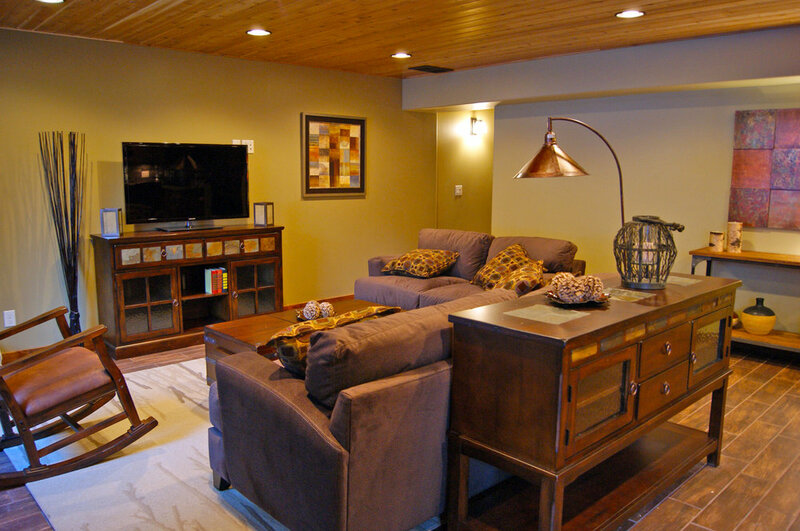 No detail was left unturned in every aspect of The Lodges at Cavanaugh's. The furnishings are high quality leather and the linens fine Egyptian cotton. Our units set the standard in ultimate luxury. Views of the lake are hard to miss at each angle you turn. Lodge 1 has the living room on the ground floor entry and the kitchen, dining on the second floor. It's a little smaller in space than Lodges 2 & 3. This unit offers 3 bedrooms and 4 baths with (1) king and (4) queen size beds along with a set of double full double trundle and bunk beds. Gourmet kitchens w/ stainless appliances, concrete counters and full size washer/dryer. Identical units in size and floor plan. One has darker trim, the other lighter of knotty alder. Both offer 3 bedrooms and 4 baths with (2) king and (3) queen size beds along with a set of double full double trundle and bunk beds Gourmet kitchens w/ stainless appliances, concrete counters, granite sink and full size washer/dryer. 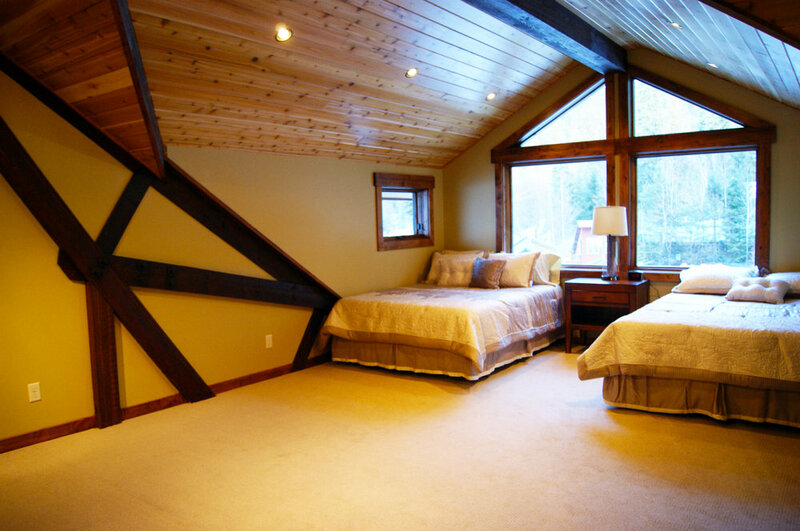 A sweeping view out your front windows of the lake and sunsets to go along with a large deck. Sandy beach awaits you as well. 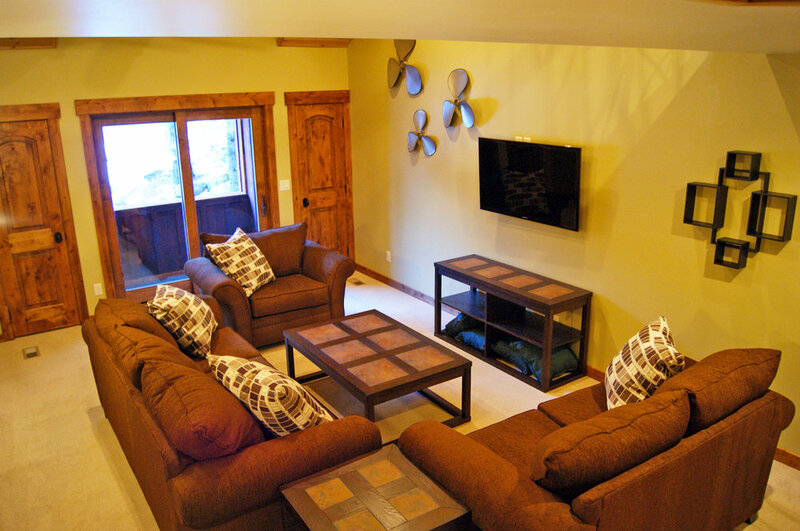 2 bedrooms and 3 baths, Lodge 4 has amazing vaulted ceilings in the main living area. 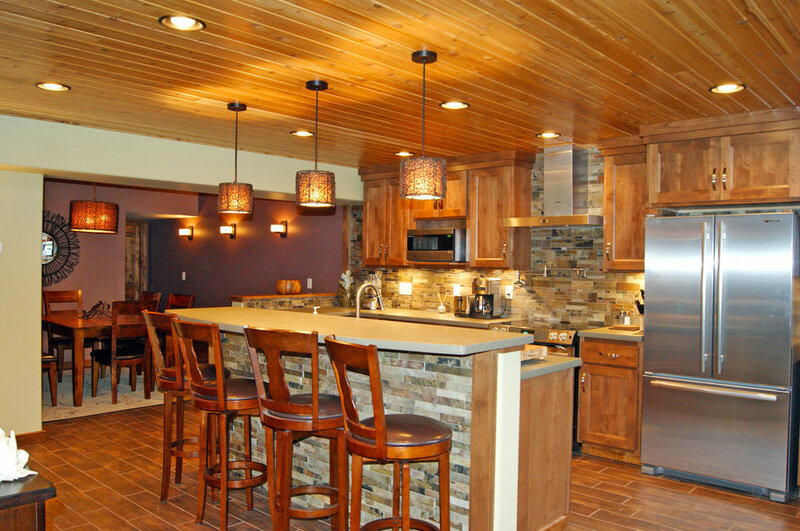 Large butcher block island centers the space between kitchen and family room. Fully appointed with stainless appliances, granite counters, hammered copper apron sink and full size washer/dryer.